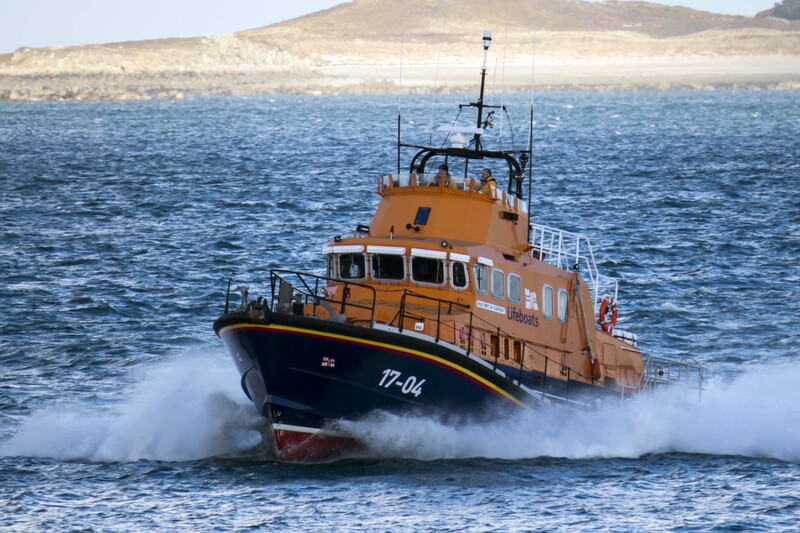 At 1610 on Friday 26th October, St Peter Port Lifeboat was launched to rescue 5 stranded holidaymakers on the south coast of Guernsey. 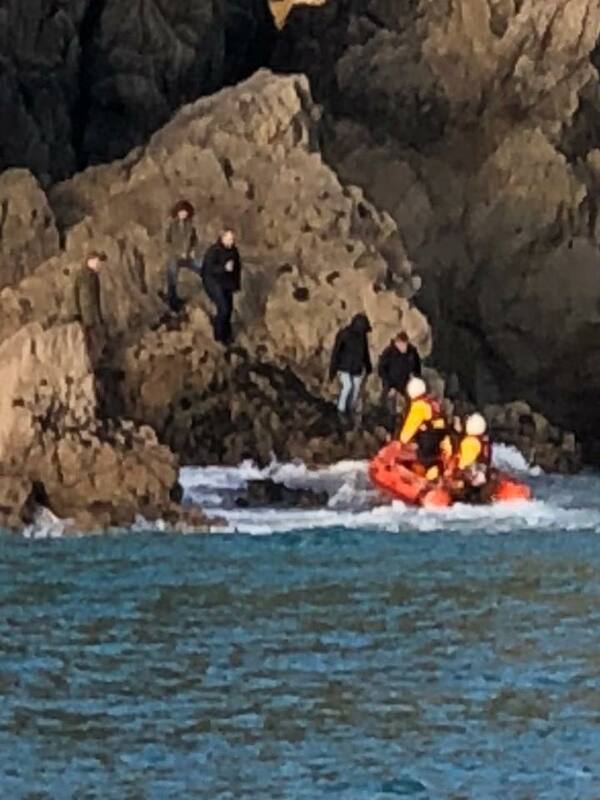 The visitors had been attempting to walk from Moulin Huet to Petit Port when they got cut off by the tide. Concerned about the rising sea level and the impending darkness, Guernsey Coastguard was called for assistance. 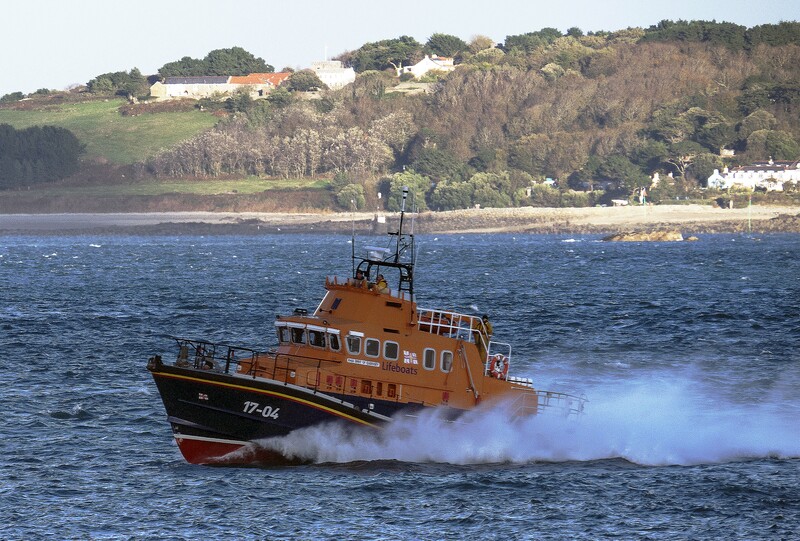 St Peter Port Lifeboat arrived on scene at 1626 and launched its inshore rescue craft in order to get close enough to the cliff base to effect a rescue. All of the party were safely recovered to the lifeboat suffering no injuries. 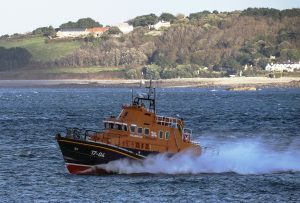 The lifeboat returned to St Peter Port at 1645. 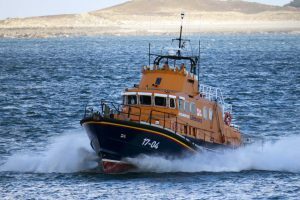 SAR Coordinator James Way said “this successful rescue was swiftly and safely conducted by the crew of St Peter Port Lifeboat but the situation could have been much different. Walking from beach to beach along the south coast can be extremely dangerous and is not recommended as tide, weather and light conditions can change and deteriorate very quickly”.